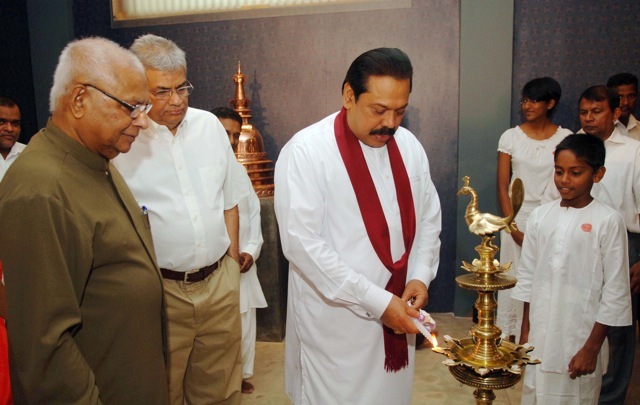 An art gallery depicting paintings found in Sri Lankan temples from ancient times to the present, was opened at the Gangaramaya temple by President Mahinda Rajapaksa. This gallery which has exhibits depicting the traditions of Sri Lankan Buddhist art over the years, displays many replicas of murals and frescoes located in a number of historical Buddhist temples including Mihintale, Bellanwila and Keleniya. Three hundred works of art depicting the evolution of Buddhist art over various periods are displayed at the gallery. 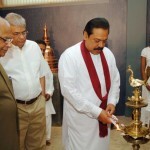 Speaking on the occasion President Rajapaksa pointed out that this gallery provided the valuable opportunity of viewing works of art from temples which would not usually be accessible. The President further stated that all assistance would be provided to further develop this progamme. Daya Hewapathirana, advisor to the President who was instrumental in implementing this project, thanked President Rajapaksa for suggesting this initiative and stated that this collection would be extremely valuable for school children, teachers and scholars studying the history of Sri Lankan art. 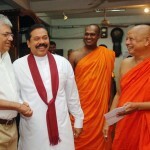 Opposition Leader Ranil Wickramasinghe also expressed his veiws at this occasion. Galaboda Gnanissara, the Chief Incumbent of the Gangaramaya Temple conducted a special dharma deshana at this occasion . 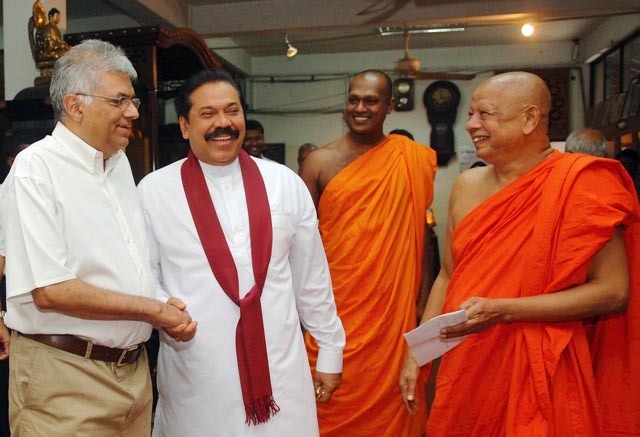 A distinguished gathering including members of the Maha Sangha, Lalith Weeratunga, Secretary to the President and devotees of the Gangaramya Temple were also present.